INFINITY #9 - The Six Million Dollar Man - from the UK! 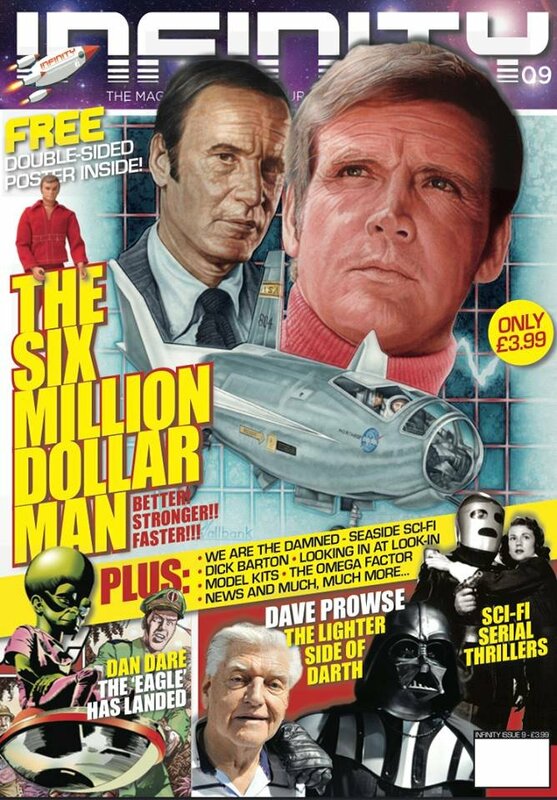 MyMovieMonsters.com > Monster Magazine Marketplace > INFINITY (UK) > INFINITY #9 - The Six Million Dollar Man - from the UK! From the publishers of The Dark Side in the United Kingdom comes INFINITY, a magazine dedicated to sci-fi and fantasy. This is Issue #9, featuring "The Six Million Dollar Man" celebrating the iconic 1970s superhero, Steve Austin. Missed Issue #08? Use the convenient Buy Both button below!